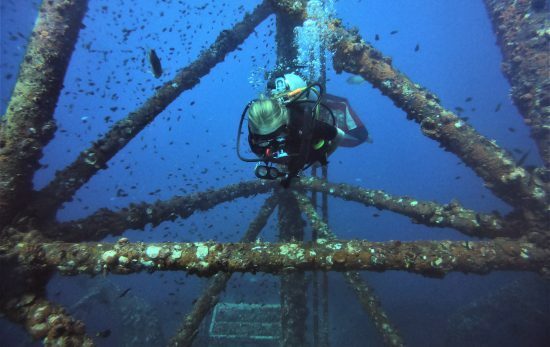 While Scott and April Dahn were simulating exercise 8 of the PADI® Rescue Diver course (Exiting an Unresponsive Diver) in the waters off Cape Maeda, in Okinawa, Japan, they had no idea their practice dive would turn into a real-life rescue situation. 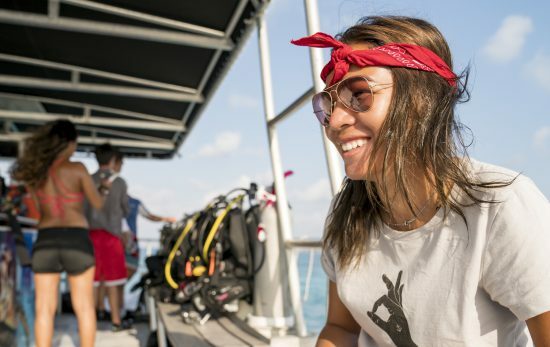 When the dive group was heading back to shore, Scott, a Gunnery Sergeant for the Marines, noticed another group of divers nearby. “They stopped, and the lady took her mask off so I thought they must be doing some training,” he says. 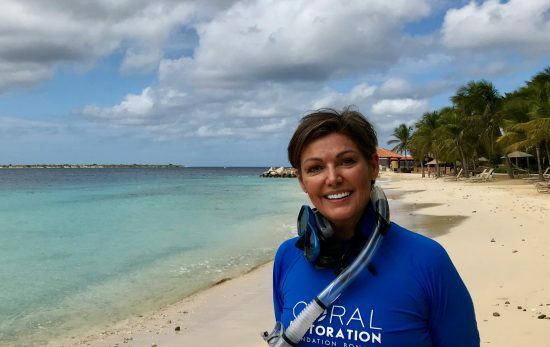 “Then one of the divers put her mask back on her, and she pulled out her regulator. It looked like she tried to yell because her mouth went wide open,” says Scott. After that, he went into military mode. 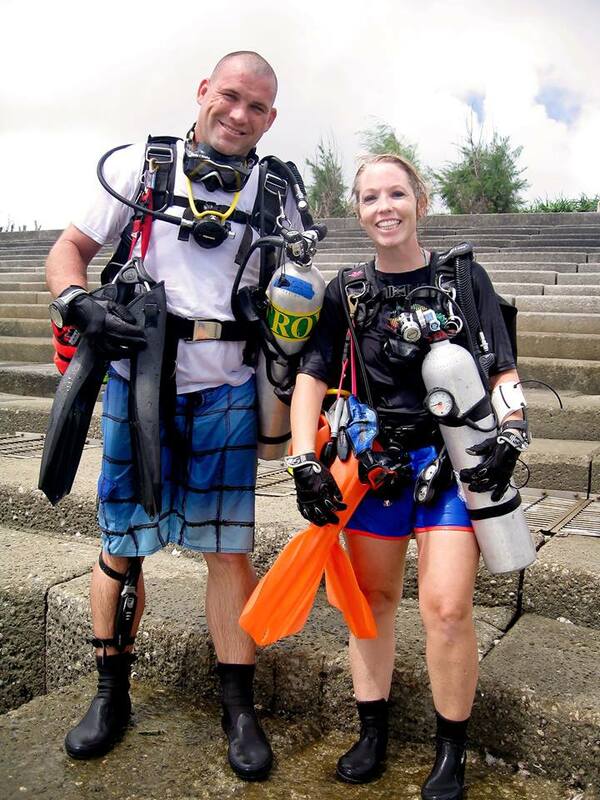 At the surface, Scott and his wife April, a PADI Master Scuba Diver Trainer™, towed the woman to shore. The unconscious woman, Ching-Yi Sze, was from Hong Kong and on her honeymoon. 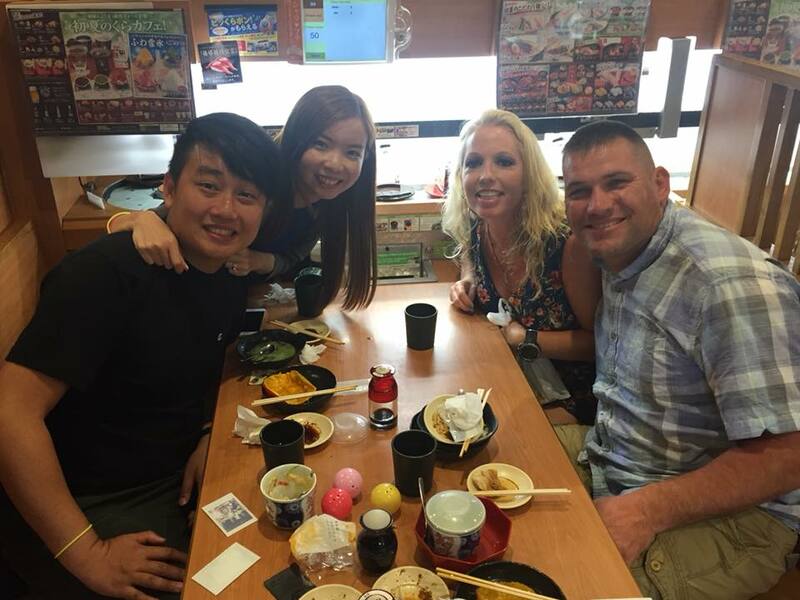 Scott assessed the situation: Sze was pale with shallow breathing and foaming at the mouth. April ran to call EMS and grab an O2 kit while Scott removed Sze’s gear and carried her through the low-tide shore and up the first set of 20 stairs. At the landing, he followed rescue protocol, turned Sze to her left side, checked her breathing, and monitored her while she vomited. April soon arrived with the O2 kit, and within 10 to 15 minutes, color had returned to Sze’s face. Paramedics transferred Sze up the remaining 130 stairs to a waiting ambulance. 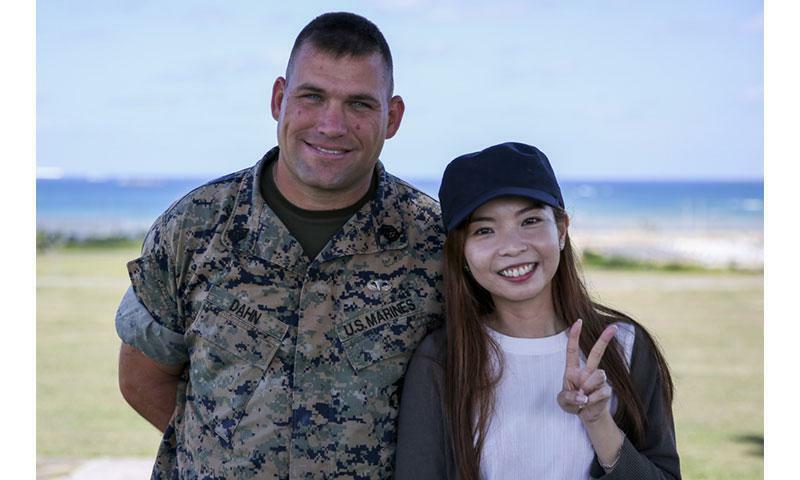 After a full recovery a couple of dates later, Sze was able to return to Okinawa and thank her rescuer for saving her life. And while there is no doubt Scott is the hero in this story, he is quick to give credit to his wife, April. 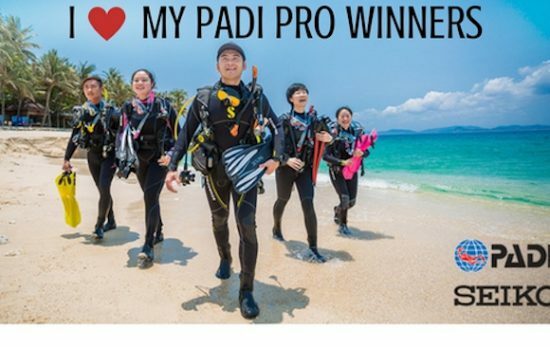 Certified over three years ago, Scott has been a PADI Divemaster since 2017. But diving hasn’t just given him a hobby to enjoy in his free time. It has also ignited his passion for safety programs like Emergency First Response®. When it comes to real-life rescues, Scott notes that even an Open Water diver can handle a life-and-death situation. Scott has been keeping an eye out for others around him both in combat and now, underwater. By holding an awareness of his surroundings is the reason this story has a happy ending. To say he deserves a medal is an understatement. And the United States government agreed. 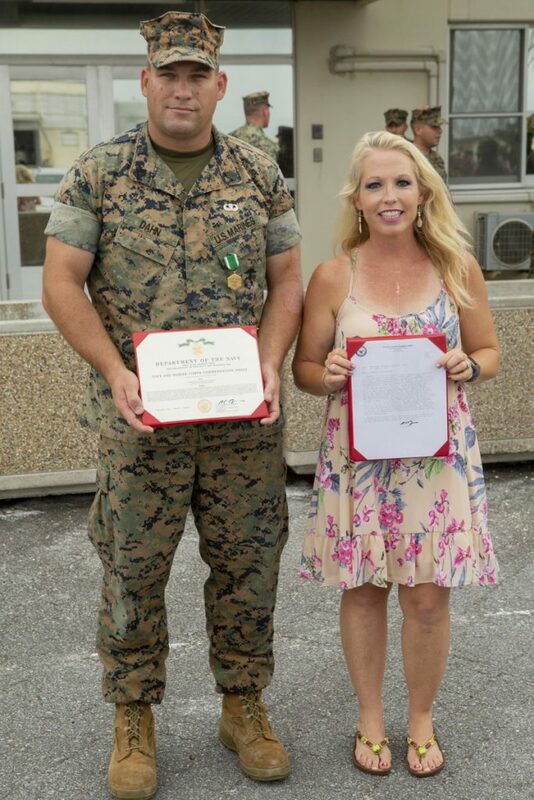 On June 12, 2018, Scott received the Navy and Marine Corps Commendation Medal. And of course, April did, too. Learn more about the PADI Rescue Diver and EFR course.